In Texas, we talk alot about the “Big D”. But it might just be time to up the conversation about the “Big H”. 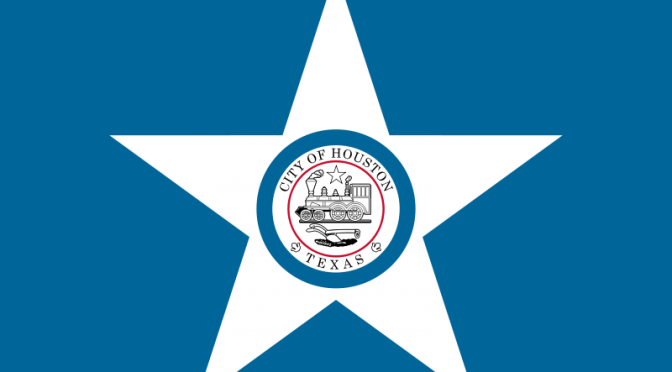 According to the UK based Globalization and World Cities Research Network, the leading academic think tank on cities in globalization, the city of Houston has been doing some B-I-G things of late. So big that we’ve managed to garner the world’s attention. 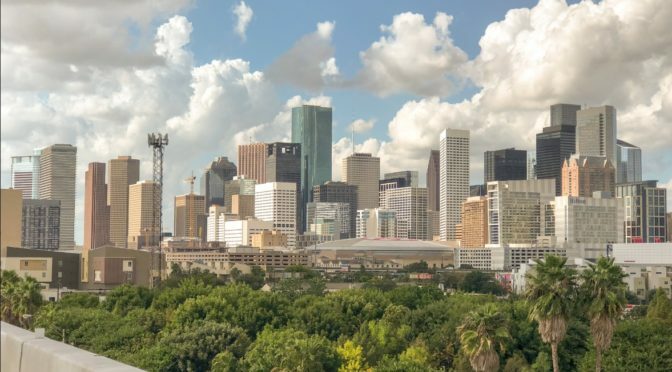 For the first time ever, Houston has been ranked as an Alpha World City by the GaWC, and also marks the first city in Texas to claim the distinction. The new report sees the Big H out rank other American cities like Denver, Atlanta, Boston and even our in-state neighbor Dallas. In previous rankings, the Texas urban titans of Dallas and Houston were both classified as Beta World Cities. Dallas retains its ranking from the previous report. Per the group’s own metrics, the rankings are a measurement of how well a major city and its regional economy are integrated into the world economy. Given Houston’s continued standing as one of the world’s leading energy captials, the ascent to Alpha status in comparison to other Texas metros may come as less of a surprise. But even outside of the immediate energy realm, Houston’s recent advances in areas like healthcare, education and transportation have also proven to have a global impact. As Early Voting is literally days away for the Lone Star State, Texas Leftist has once again seeking to grow the information available to voters by asking candidates directly. 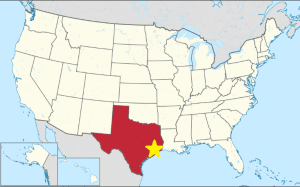 For the 2016 Texas Leftist Candidate Questionnaire (TLCQ), candidates across the region have already been sent information, and each response will be published as it is received. Texas Leftist will also issue endorsements for select races. This year, a common set of questions has been sent to candidates, regardless of the office being sought. What is your name, as it will appear on the ballot? Are you a current or former elected official? If so what office(s)? As a political candidate, you clearly care about what happens in certain levels of government. In your own words, why is government important? If elected, what is your top priority in office for the upcoming term? Describe how you plan to accomplish it. Recent years in American Politics have yielded an environment of hyper-partisanship, the results of which have often led to government inefficiency, and sometimes total government gridlock. Describe how you plan to break through this partisan gridlock for the good of your constituents, and work with those from differing political ideologies. When not on the campaign trail, how do you like to spend your free time? Though much attention this cycle has been focused on the Presidential race, it is very important to highlight the races of down ballot candidates. If elected, they are the ones who will have the most immediate impact on the lives of Greater Houston residents, and all of Texas. Check here for the responses, and endorsements coming soon. The numbers are startling, the similarities are haunting, and the frequency… incomprehensible. 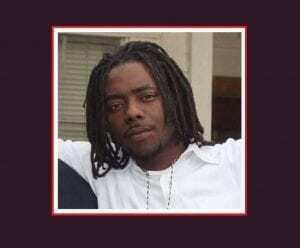 As citizens across this country continue to be unlawfully detained, arrested and even killed by police under circumstances that are questionable at best, the grieving families of these victims are left with little peace or consolation. 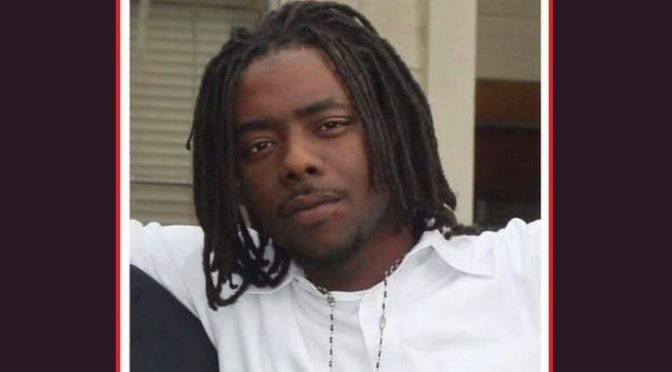 HOUSTON (FOX 26) – After two sessions, a grand jury has not indicted a Harris County Precinct 5 deputy constable in the April 28 deadly shooting of Ashtian Barnes. “What we can say is that the presentation was comprehensive and responsive to the needs of the grand jury,” said Harris County District Attorney’s Office Civil Rights Division Chief Julian Ramirez. “The 183rd Grand Jury handled this case with great care.” The grand jury of twelve people included three African Americans and three Hispanics. At least nine of the 12 grand jurors needed to find probable cause to indict the deputy constable. DA Anderson said that the panel’s decision shows there was not enough evidence for a charge. But the newly released video via Black Lives Matter- Houston has many people seeing the outcome differently. The video, which seems to counter the officer’s account of the incident, is leading many viewers to cry foul with the Grand Jury’s decision. As one may recall from earlier this summer, those standards to find Probable Cause against policemen were significantly toughened when a Supreme Court decision decimated the Fourth Amendment, giving police virtual right to profile and suspect any citizen that they want. As seen and heard from the video, the officer seems to be looking for reasons to conduct a search of Barnes’ vehicle. Beyond the lack of probable cause, BLM members also stated that officers and lawyers for Felix were “laughing in the face” of activists outside the trial. At this moment, BLM members are gathering for a protest in front of the Harris County courthouse, calling for Justice for Ashtian Barnes. The protest begins at 6pm. 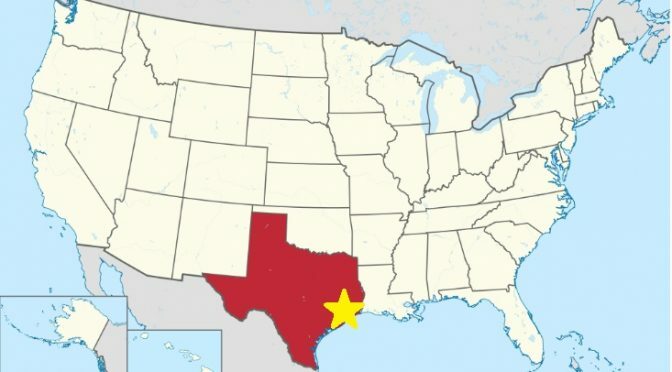 Texas Leftist will be following the developments. Do you agree with the Grand Jury’s assessment?? Leave your feedback in the comments. Even as it continues to urbanize and become increasingly diverse, it’s doubtful that anyone familiar with American politics considers Texas to be a harbinger of Progressivism. Thanks to many factors like voter suppression and mis-education, the Lone Star state is expected to once again skew Conservative for the upcoming election. Though the constraints of America’s often challenging two-party system would want voters to think otherwise, the terms “Progressive” and “Conservative” do not belong to exclusively to Democrats or Republicans. In fact 2016’s two major party candidates are causing many American voters to look outside of the traditional “big tent” status quo. The odds seem long for the Green Party of the United States. In a presidential election, it never has won more than 2.7 percent of the popular vote. Right now, its presumptive candidate is slated to be on the ballot in only two dozen states. Still, members say the November election could provide a unique opportunity for the progressive party, now in its fourth decade, to capture voters who will not vote for Democrat Hillary Clinton or Republican Donald Trump. 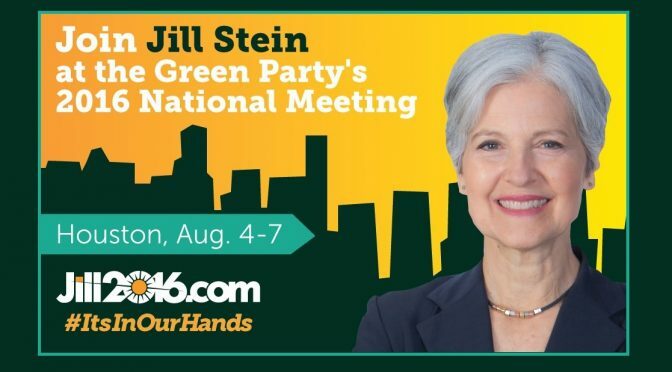 That will be one of the central themes as the Green Party kicks off its three-day national convention Thursday at the University of Houston, where delegates are expected for the second straight election cycle to nominate Jill Stein, a Lexington, Mass., physician, author and environmental advocate, for president. It’s been something of a ‘Powerhouse’ Political year for the University of Houston, whom not only welcomes the Green Party this week, but also played host to a Republican Debate earlier this year. Spoiler Alert: at this point it is unlikely that Dr. Jill Stein, or her running mate Ajamu Baraka will win this years election. At present, they have reached the General Election ballot in 24 states and the District of Columbia. But that situation in the Presidential race doesn’t discount the real successes that its membership has garnered elsewhere. The party currently has 134 elected officials serving in 15 states, including Arkansas, Mississippi, and yes, Texas. Per the schedule of events, convention activities begin today August 4th, with the highlights of Keynote speaker Dr. Cornel West, the roll call of states, and the official Presidential Candidate nomination and acceptance all slated for August 6th. There’s even a special welcome for Bernie Sanders supporters. 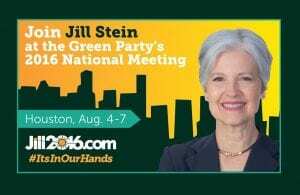 Will the Green Party’s mission be advanced by their time in Houston? At this point it is uncertain. But Texas Leftist plans to find out. Look for more Green Party Convention coverage right here. Position 1— With several noteworthy candidates in this race, it is an admittedly tough decision to go with one over another. Jenifer Rene Pool‘s decades of experience in the construction industry would be of great benefit as a new Mayor and Council continue to tackle the city’s massive infrastructure needs. Lane Lewis is a proven public servant with a record of producing extraordinary results during his tenure as chairman of the Harris County Democratic Party. Either would be an excellent addition to the Council table. But the time in which Houstonians live points to yet another candidate… Tom McCasland. 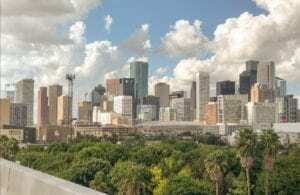 Recent years have seen a nearly inconceivable proliferation of area property values, the result of which has left Houston in an affordable housing crisis. Along with finding a path forward on the city’s pension obligations, affordable housing is sure to be one of the next challenges faced by the local government. His successful time as head of the Harris County Housing Authority would bring necessary expertise to the people of Houston. The pick for At-Large Position 1 is Tom McCasland. Position 2— Incumbency is by no means an automatic ticket to reelection, as was seen two years ago, when David Robinson defeated then Council Member Andrew Burks. But if any incumbent in the At-Large races deserves another term, it is certainly Robinson. His wealth of knowledge and experience has helped to guide responsible solutions for the city’s Capital Improvement Plan (CIP). Robinson also understands the importance of planning for the future of a rapidly-growing city, and has been a constant advocate for implementing the right solutions, not just those for “right now”. The pick for At-Large Position 2 is David Robinson. Position 3— Even if one disagrees with Council Member Michael Kubosh, it’s tough not to like him on a personal level. He is a charismatic and kind-hearted individual, always entertaining and often engaged with people in the community. But among all of the Council Member’s many God-given political gifts, listening doesn’t seem to be one of them. Time and again, he has made irresponsible statements, and fluctuates on his positions from one audience to the next. This was apparent during the fight surrounding Houston’s Equal Rights Ordinance. 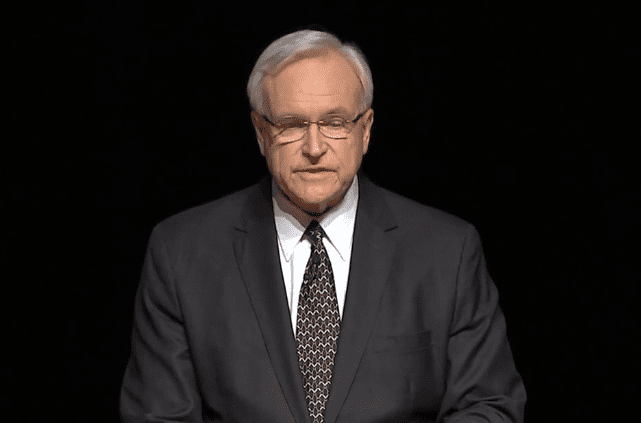 Unlike Council Member Brenda Stardig, who opposed HERO while at least maintaining a respectful posture to both sides, Kubosh preached “respect” to the public, but then fell in line with those spreading unnecessary hate and lies when the cameras were off. Rather than continue the chain of divisiveness, voters should instead consider Doug Peterson for this race. With a strong record of community activism, Peterson understands that diversity and equality are necessary elements of Houston’s success. As a Clear Lake resident, he also pledges to work towards bringing better quality of life for residents outside of the inner loop. Another 1st-time candidate, John LaRue has run a respectable campaign and would bring many positive attributes to the seat, but in this year Peterson is the better choice. The pick for At-Large Position 3 is Doug Peterson. Position 4— This race is yet another open seat with two very strong candidates… Laurie Robinson and Amanda Edwards. Either would serve the people of Houston with extraordinary commitment and common-sense pragmatism. But for this election cycle, Amanda Edwards proves to be the best choice. Though Robinson holds a wealth of experience in municipal government, Edwards’ time as a staff member for U.S. Congresswoman Sheila Jackson-Lee shows that she understands the intricacies of constituent service. Her experience in municipal finance law is also timely in light of the city’s fiscal challenges. The pick for At-Large Position 4 is Amanda Edwards. Position 5— Like Kubosh, there’s no denying that Council Member Jack Christie is personally a likeable guy. But once again, personality cannot make up for a host of irresponsible comments and questionable positions around the Council Table. This year, the clear choice is candidate Philippe Nassif. He may not have the advantage of incumbency, but Nassif’s impressive experience working for The White House, Mayor Annise Parker and one of the world’s largest humanitarian organizations will ensure that he brings a needed global perspective to one of the world’s emerging global cities. In particular, his expansive work in helping to combat poverty and encourage affordable housing will prove necessary attributes to solve Houston’s upcoming challenges. The pick for At-Large Position 5 is Philippe Nassif. In the Eighteenth installment of the 2015 Texas Leftist Candidate Questionnaire we hear from Hon. 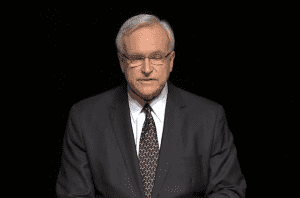 Bill King, former Mayor of the city of Kenah, Texas and candidate for Mayor of Houston. Please note: Responses are directly from the candidate, and have been posted ver batim from the email received. This is done out of fairness to all candidates. Publishing these responses does not constitute an endorsement, but may be considered during the endorsement process. BK: I served two terms on the Kemah City Council and two terms as Mayor of Kemah. BK: I believe that municipal government is constituted to provide certain basic services—like streets, sewers, police, and fire protection—and to provide them well. BK: Addressing Houston’s financial problems is a necessary predicate to any other objectives one may have for the city. I will implement zero-based budgets and independent audits of departments, stop relying on overtime work from city employees that costs the City more than it spends on parks, convert heavy city vehicles to natural gas, and other necessary steps to bring spending under control without compromising essential city services. TL: After decades of deferred maintenance and neglect, Houston’s infrastructure is in a critical state of disrepair. Ask any driver, cyclist or pedestrian, and they can readily tell you that city streets and sidewalks are crumbling… some to the extent that they pose significant danger to those that would traverse them. The Parker Administration has attempted to address the problem by the voter-approved ReBuild Houston program. Knowing that the next Mayor has no choice but to invest in city infrastructure, do you support the continuation of ReBuild Houston? If yes, please explain why. If no, please explain how you would address our copious infrastructure needs differently. BK: I have consistently opposed ReBuild Houston. The pay-as-you-go scheme costs taxpayers more money than traditional infrastructure bonds, and it also means that citizens have to wait years for critical projects and lose the value of having roads and culverts completed when they are needed. Also, it is very un-democratic to have city bureaucrats and engineers making the decisions on which projects get priority. Infrastructure bonds give the voters a say. 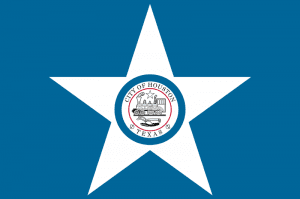 TL: At present the city of Houston has one of the strongest forms of “strong-Mayor governance” in the state of Texas, to the point that the Mayor alone decides what business comes before City Council. If elected, would you support an amendment to the City Charter that would allow any coalition of 6 Council Members to place items on the Council Agenda without prior approval from the Mayor? Whether yes or no, please explain your answer. BK: I support a mechanism for Council Members to set agenda items without the Mayor’s approval. In a more general sense, I think that Houston needs to work on de-centralizing some authority. The super-neighborhood system, for instance, has been deteriorating in many areas of town, depriving the mayor of valuable input on the needs of specific neighborhoods. TL: If elected, would you support and seek to continue the current administration’s Complete Streets policy, which establishes that any new or significant re-build of city streets will work to prioritize and incorporate safe access for all road users, including pedestrians, persons with disabilities and cyclists? BK: I am all for providing safe, dedicated infrastructure for bicycles and pedestrians. But the Complete Streets policy is not what we need right now: Complete Streets can costs as much as 3 times what a regular street costs, and Houston is full of disadvantaged, largely minority neighborhoods where streets are impassible and sidewalks are nonexistent. We can’t get economic opportunity to the areas of town that need it most if we keep spending down our budget on amenities that always seem to find their way to wealthier neighborhoods first. 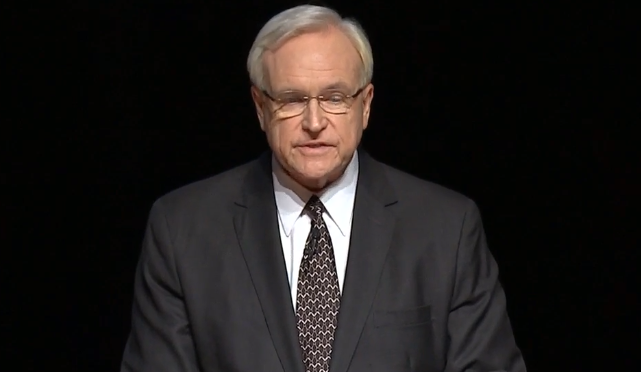 BK: Running the City of Houston is a bit like being the CEO of a $5 billion corporation. Taxpayers have not been getting their money’s worth from municipal government, and I want to use my 40 years of experience in business and public service to deliver what the voters expect from City Hall. BK: I enjoy dining out in Houston and spending time with my grandchildren. Thanks to Mr. King for the responses. Election Day 2015 is Tuesday November 3rd, and Early Voting runs from October 19th through October 30th. Check out this year’s Harris County Early Voting information for locations and times. Metropolitan Transit Authority leaders and U.S. Rep. John Culberson on Monday announced details of a new agreement to help the agency move forward with transit projects. Richmond would be contingent on voter approval. Culberson lauded the agreement as a “historic breakthrough” in addressing Houston area traffic congestion and rebuilding his fractured relationship with Metro. It’s something that should probably be avoided most of the time, but today, Hyperbole is warranted. 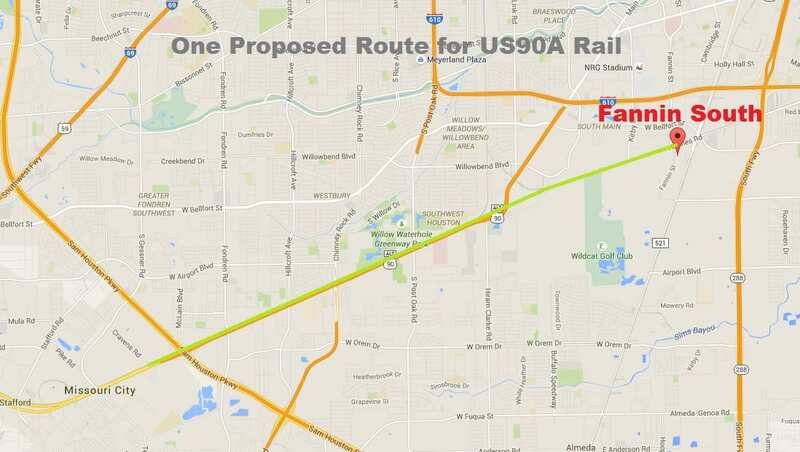 The new understanding between METRO and Houston’s Congressional delegation not only fosters new hope for a University Line, but puts Commuter Rail along the US90A corridor on the fast track. The planned route would connect Houston’s inner loop (most likely via the south end of the existing Red Line) to Missouri City. Avenue west of Shepherd Drive or Post Oak Boulevard would only be eligible to utilize these credits once approved in a subsequent referendum. 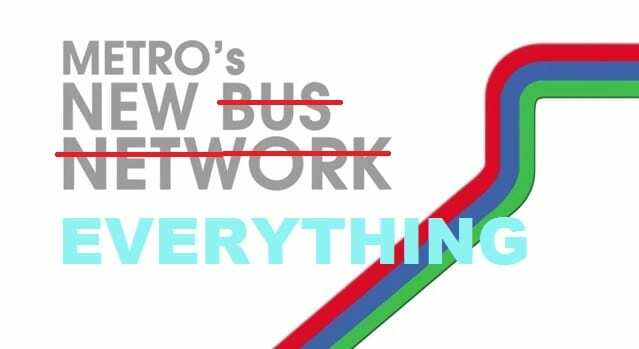 Also included is another $100 million payday for METRO to improve its bus fleet and transit infrastructure (again some of which is already being done as a result of System Reimagining), and a recoup of funds diverted to the Southeast and North lines that can be put back into general maintenance and improvement projects. Of course some of this has yet to materialize, but given how Congressman Culberson was the most vocal opponent of previous initiatives, there’s little reason to think that all of these plans can’t be realized. All told, today is a great day for transit in Southeast Texas. And Houstonians have Chairman Gilbert Garcia to thank for it. Could Culberson’s newly-discovered love for transit spread to other Republican Lawmakers, and result in significant new transportation investments nation-wide? Only time will tell. But if today is any indication, Obama’s “lame duck” period may not be as lame as we once thought. 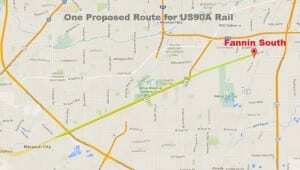 Though not the finalized route plan, here is one proposed route for the US90A Commuter Rail project.